The tiny dish of tsukemono (“pickles”) that appears as part of every meal in Japan is not just an afterthought. 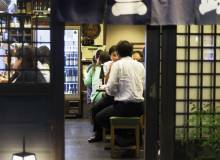 Tsukemono, along with rice and soup, complete the culinary triumvirate of a traditional meal. Their vibrant color and sometimes pungent flavor play a pivotal role in balancing a meal’s overall effect. Often made using imperfect vegetables and items left over from other processes, tsukemono is a delicious example of the mottainai (“waste not, want not”) mentality that’s pervasive in Japan. 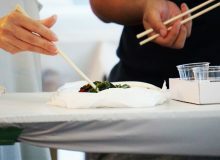 Tsukemono is considered a raw food, even though the final product appears vastly different from its original form, and can take anywhere from hours to years to create. The vegetables are rarely, if ever, heated, and more often than not are subjected fresh and whole to one of several mediums: salt, nuka (“rice bran”), sake kasu (“sake lees”), and vinegar. The resulting fermentation process offers health benefits of its own and a safe means of storing food without refrigeration. 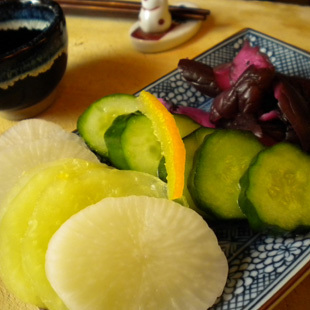 Shiozuke are salt-based pickles. Nearly all pickles begin with salt, which draws out the fluids from the vegetables to create brine, which allows them to better absorb flavors. 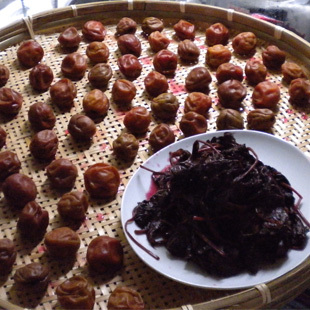 Umeboshi (“pickled plums”) are perhaps the most famous member of this group, their tart saltiness a popular ingredient for onigiri (“rice balls”). Asazuke (“morning pickles”) is the quickest of the shiozuke family. Fresh vegetables—everything from cucumbers to eggplant to Chinese cabbage—are sliced and massaged with salt. A weight placed on top helps speed fermentation, and within a few hours, the pickles are ready. Citrus zest, togarashi (“hot peppers”), and konbu (“kelp”) add flavor and umami. Shibazuke, a Kyoto specialty, pickles eggplants and cucumbers up to one year in salt and akashiso (“red perilla leaves”), to achieve their distinct flavor and magenta color. Nukazuke (“rice bran pickles”) are home-style pickles fermented in a nukadoko—a bed of roasted rice bran left over from rice-polishing, salt, and konbu. Stirred daily, the nukadoko is a living organism similar to a sourdough starter, and is passed from generation to generation. Vegetables are rubbed with salt and buried whole in the nukadoko, where they remain anywhere from overnight to several months. Takuan, the bright yellow half moons of daikon (radish), is made from sun-dried daikon placed in the bed along with persimmon peels, kuchinashi no mi (“cape jasmine seeds”), or turmeric for color. 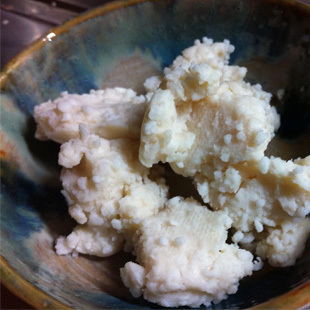 Kasuzuke (“sake lees pickles”), which is similar to nukazuke, takes advantage of leftover sake kasu. A similar bed or pot is made using sake kasu, salt, sugar, and mirin—where whole vegetables ferment. These vegetables, though, will stay in place for extended periods of time. The most famous of these is Narazuke, named for the former capital where Buddhist monks first developed them in the eighth century. Kasuzuke rests anywhere from one to three years, resulting in a dark-brown pickle with a pungent flavor. Cut into the thinnest of slices, it is a perfect companion to rice. Suzuke (“vinegar pickles”) come in two kinds of vinegar, and are commonly used to make plain rice vinegar and umezu pickles, the bright red vinegar or brine leftover after making umeboshi. Rice vinegar is less acidic than Western types, and therefore has a slightly softer flavor. Gari, the paper-thin slices of ginger that accompany sushi, is made using young ginger that’s still pink around the edges, rice vinegar, sugar, and salt. The fermenting process accentuates the color. Senmaizuke (“thousand-layer pickle”), another Kyoto dish, is made from kabu (“turnip”) brined in vinegar and sugar seasoned with konbu and togarashi. Beni shoga, the neon-pink, julienned slices of ginger often served atop Japanese curry, is brined in umezu for up to a few days. 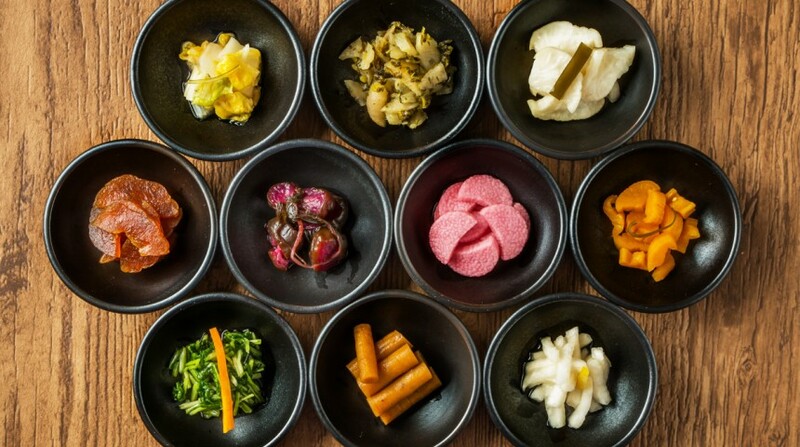 Sweet, tart, and salty, Japanese pickles offer something for everyone.